Every Reason DC Metal Is The Most Exciting DC Event In Years! You are here: Home / Featured / Every Reason I’m So Excited About DC Metal! I’m insanely excited about DC Metal, with far reaching opening chapters that have delivered the most pure comic book event ecstasy since Marvel’s 2015 Secret Wars became my favorite event of all time. Everything about DC Metal’s opening chapters is a love letter to DC Continuity. Over a short stretch DC Metal already feels like the best time to be a longtime DC fan in years. 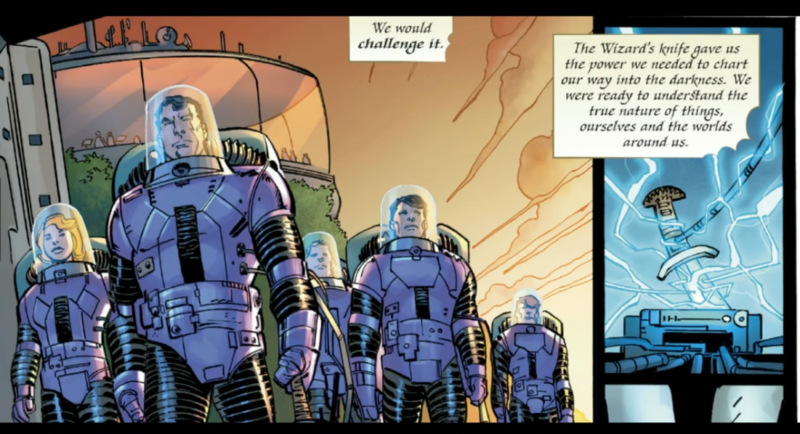 In the first prelude issue alone we see involvement from Batman, Aquaman, Blackhawks, Guardians of Oa, Green Lantern (Hal Jordan), Immortal Man, Duke Thomas, Mr. Terrific, Mister Miracle, Superman, and The Joker. Few comics reward slobbering devotion to decades of continuity quite like DC Metal has to date, and the book is only getting started. Scott Snyder and James Tynion IV are channeling their inner Grant Morrison by way of George Perez, with deeply ingrained universal mythology spanning the first days of man. 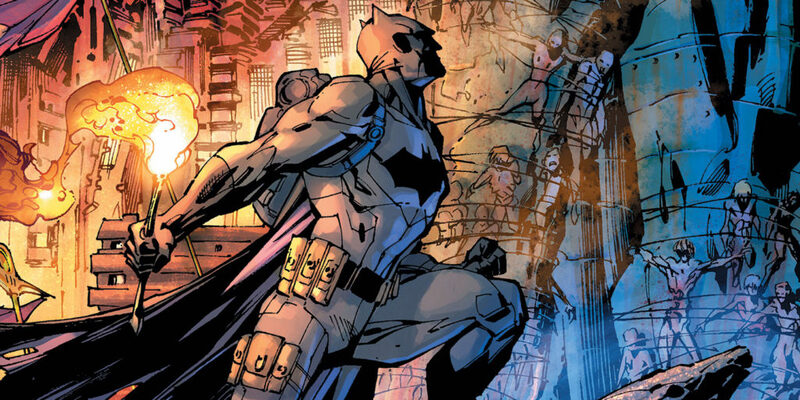 The core event promises the continued super-powered team-up of New 52 Batman collaborators Snyder and Greg Capullo. To date the event prelude begins with Dark Days: The Forge #1 , Dark Days: The Casting #1 , and DC Metal #1 . You can view the current event reading order, Comic Book Herald “tie-in relevance” scores, and all future tie-in issues in the Comic Book Herald full DC Metal event reading order. In the meantime, below you’ll find all the reasons I’m so excited about DC Metal, starting from spoiler-free before denoting when the spoilers will begin! When you consider the vast reach of the Guardians of the Universe, it’s pretty absurd that they’d send one of their Green Lanterns to investigate a multiversal disturbance at the heart of Batman’s house. It’s also a great way to signifiy the cosmic import of DC Metal from the very beginning of Dark Days: The Forge #1. Nobody in the Justice League feels more like bedgruding coworkers than Batman and Hal Jordan, which makes Hal the perfect person to fearlessly raid the batcave for secrets. On one hand, of course he does. On the other, WE NEED MORE MOON BATMAN! Hawkman is the surprise overarching narrator throughout the Dark Days preludes, with a journal detaliing his own eons spanning investigation into the power of the Nth metal. During one of the many flashbacks into his own archeological detective work, it’s shown that Hawkman (and Hawkgirl) essentially put together DC’s esteemed Challengers of the Unknown in order to learn more about this mysterious dark metal. Nobody knows how to make an entrance like Batman. Just ask Jim Gordon. Nonetheless, even I was surprised when Batman entered a disaster area through an active volcano and promised that the volcano was the only way to make it out safely. 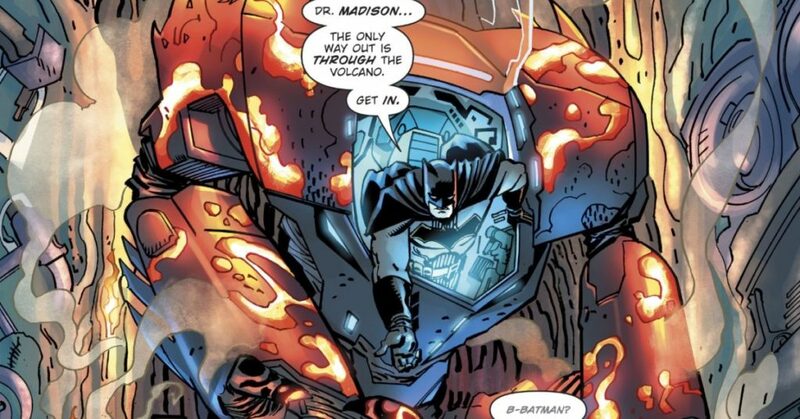 Sure Volcanic Bat Armor makes sense in a “Batman’s prepared for anything” kind of way, but it’s also just crazy comic book fun right out of the gate. Early on in Dark Days: The Casting #1, as Batman investigates the powers of Nth metal and what they mean for the DCU, Wonder Woman arrives to help Batman battle an actual Griffen. 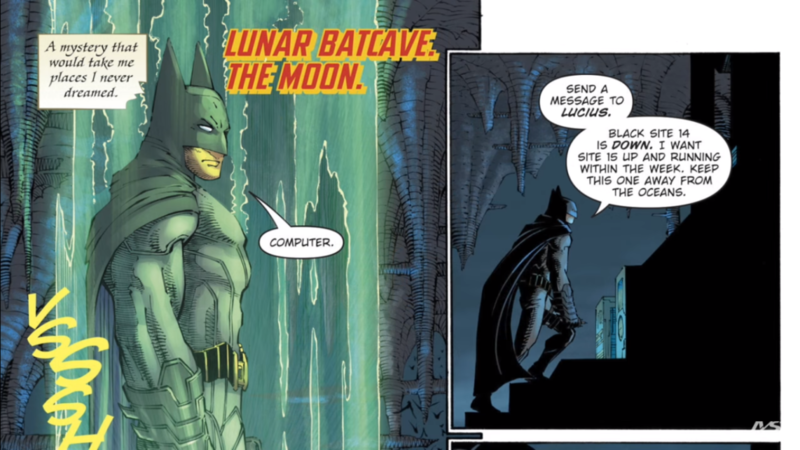 Batman explains he’s researched ancient manuscripts on how mortals can reach Hephaestus, the Greek God capable of manufacturing any weapon (and, at least in the New 52, responsible for most of Wonder Woman’s arsenal). Following some discussion, and the DC Rebirth fueled revelation that Batman won’t be finding the Greek gods any time soon, Wonder Woman gives him the Sunblade which is powered by 8th metal and crafted by Hephaestus. True to Dian’s nature, she warns Batman not to trade the light metal for dark. I’m sure Bruce was listening carefully. SPOILERS FOR DC METAL FOLLOW! In a secret cave inside his secret cave. Even wilder, this is the first appearance of Joker in DC Rebirth, and he is 100% carried over from the Snyder and Capullo New 52 run! Joker explains in a lengthy monologue that the origin of “meta humans” stems from hospitals using the four character code M-E-T-A as shorthand for “metal” in databases. Oh, and that Batman’s been tracking it for years. He tries to kill Duke who is “The Signal” that Batman intends to use to “see in the dark.” As Joker says, he’s motivated to get back to status quo of “Bats and clowns, not bats and birds,” and sees the rise of powered metal as a threat to his violent game of infatuation with Batman. When Mister Miracle asks if Batman kept the key to the secret room, Batman declares he shot it into the sun. This does, indeed, look like a job for Mister Miracle. 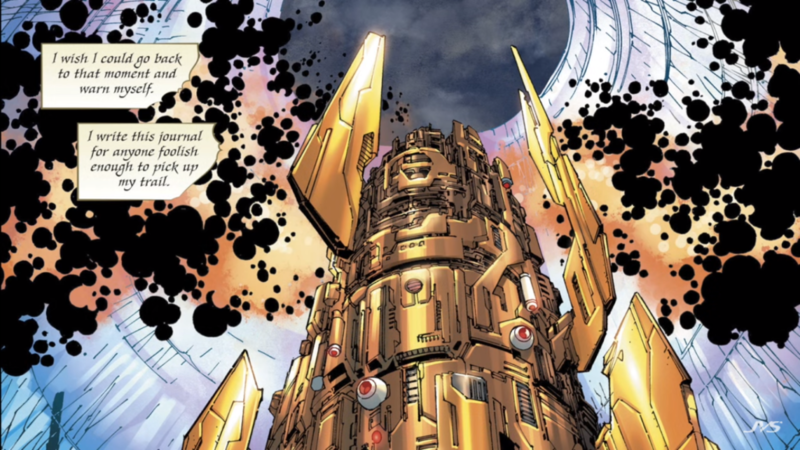 Apparently that’s because Batman’s artifact obsession extends to all-powerful cosmic tools from Crisis on Infinite Earths . Batman Trades Talia Al Ghul For the Dagger of Shazam! 8th metal (sunblade) for Ninth metal (full of darkness). Batman finds Talia Al Ghul in the Arizona desert after she raided a Cadmus base and seemingly killed Dubillex. So much for heeding Wonder Woman’s advice! 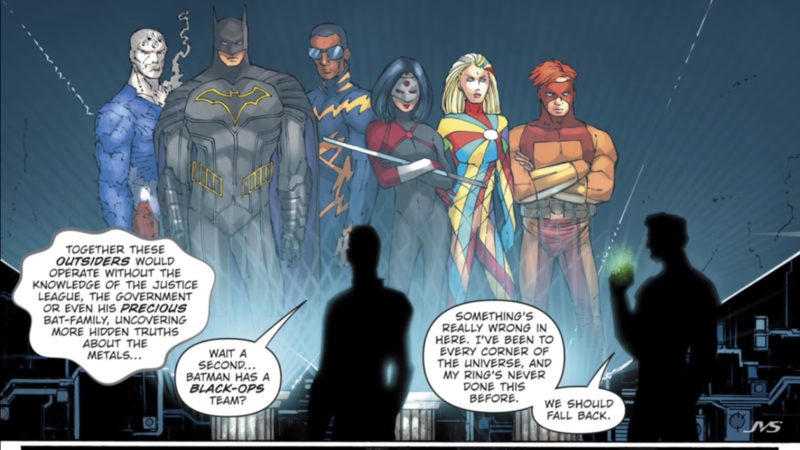 So apparently the Outsiders of DC Rebirth are much cooler than we could have expected. Trying to stop Batman from digging in to Nth metal anymore, screaming at Hal that there’s no joke in any of this. When even the Joker can’t find reason to laugh, you may well be looking at a Dark Crisis on the horizon for DC. I for one can’t wait to see more!